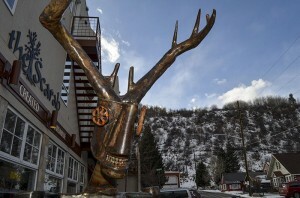 I ran into Larry Stone, co-founder of The Scarab, a retail store in Minturn, CO, at the LA Rug Market back in March. 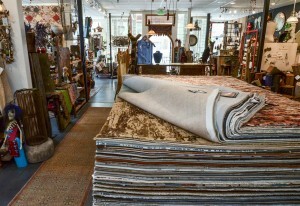 We started talking about decorative rug trends and what’s hot in different parts of the country. 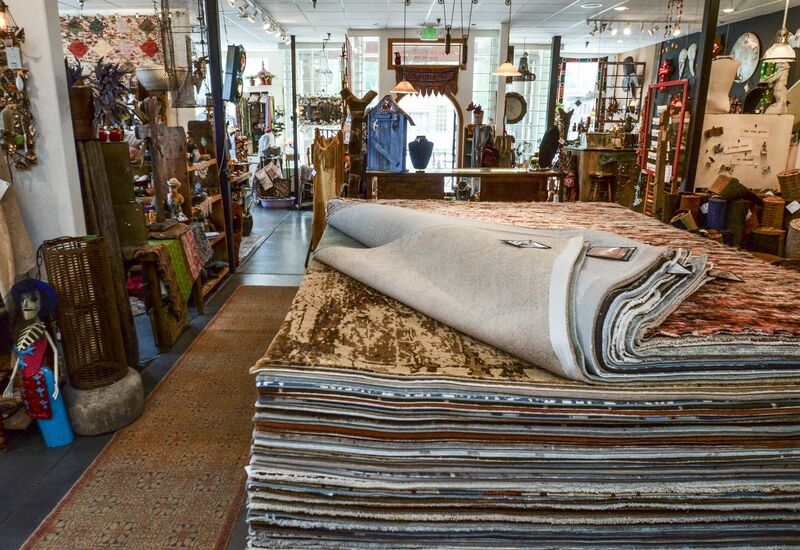 Featuring an impressive collection of rugs ranging from the finest antique collectibles to the latest contemporary introductions and everything in between, The Scarab offers a variety that will please even the most challenging of customers. 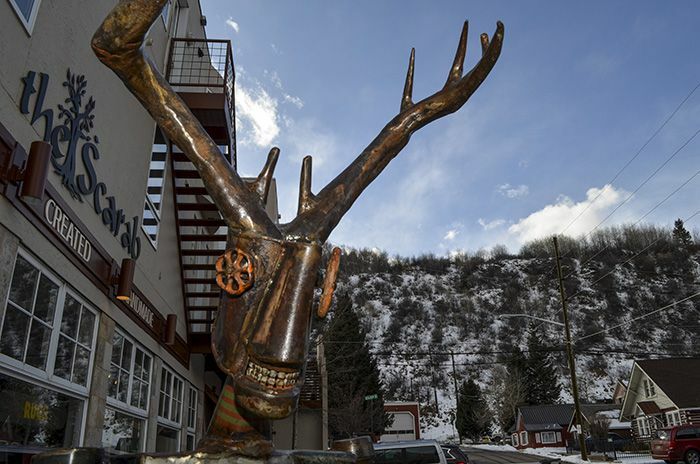 How wonderful to have this resource in Colorado! They also feature an eclectic collection of artifacts and even guitars! Larry shares my firm belief in educating clients as being the most effective means of stimulating and maintaining enthusiasm for handmade oriental and decorative carpets. It’s with that conviction that Larry has purchased in bulk my book The Decorative Carpet–Fine Handmade Rugs in Contemporary Interiors published by Monacelli Press/Random House in 2010 to distribute to their favorite customers. Little did I know in March that all this would lead to this fabulous write up they did of the book and me. The more people read the book, the more they will appreciate handmade rugs’ artistic merits and will think twice before buying the machinemade alternative. Thank you to all of you at The Scarab! I share The Scarab’s holistic approach towards rugs. They are not just floor coverings for sale or that can be ordered in any size, color, and pattern but also woven art produced by a community of weavers from all over the world. They are men and women with families just like us but endowed with a talent that needs to be treasured before it dies out in our increasingly high-tech world. It’s in this vein that I really appreciate the way The Scarab salutes the weavers on their website. It puts a human face on an industry that too many want to depersonalize.